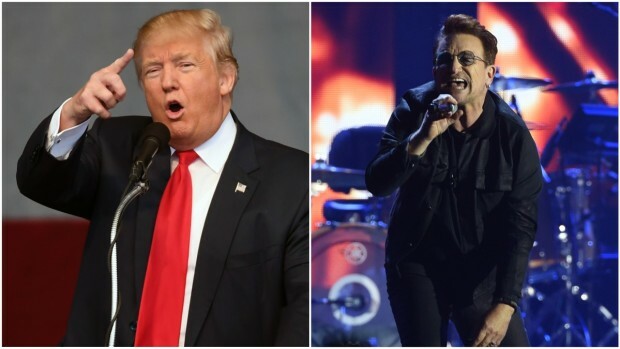 Legendary U2 frontman Bono has criticized what he called the "girly" state of music these days and revealed that a recent near-death experience influenced the tone of his band's latest album. The rocker spoke to Rolling Stone for the magazine's January 2018 cover story and weighed in on the lack of male rage in today's rock 'n' roll music. "I think music has gotten very girly," Bono told the magazine. "And there are some good things about that, but hip-hop is the only place for young male anger at the moment – and that’s not good. When I was 16, I had a lot of anger in me. You need to find a place for it and for guitars, whether it is with a drum machine – I don’t care." Bono went on to claim that that anger is what fueled some iconic rock 'n' roll bands. "In the end, what is rock 'n' roll?" he asked. "Rage is at the heart of it. Some great rock & roll tends to have that, which is why The Who were such a great band. Or Pearl Jam. Eddie has that rage." The singer explained that his son Elijah still listens to older bands like The Who, formed in 1964, and Nirvana, formed in 1987. But he also listens to more recent bands like The Killers, formed in 2001, and Royal Blood, formed in 2013. Bono said his son "believes that a rock 'n' roll revolution is around the corner." And Bono said he agrees with Elijah that the anger "will return." As for his own band's music, Bono revealed that a part of U2's latest inspiration was a near-death experience that singer had. The moods and tempos in "Songs of Experience," released Dec. 1, were influenced by Bono's brush with death, a situation he gave few details on. "People have these extinction events in their lives; it could be psychological or it could be physical. And, yes, it was physical for me," Bono said. He told Rolling Stone that he didn't want to dive into the details because he wanted the experience to be relatable, so people can "fill in the blanks of what they have been through." 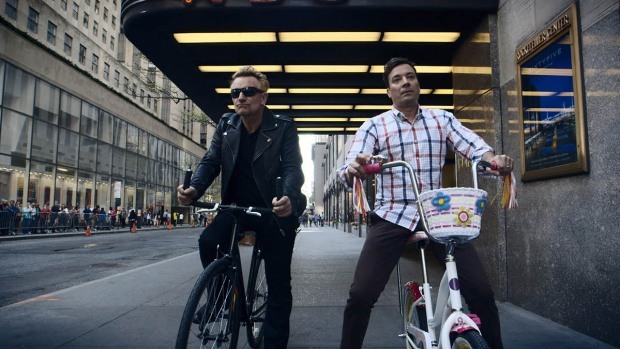 Bono gets back on a bike for the first time since his accident — but it doesn't exactly end well for the lead singer of U2. However, Bono did associate it with what he called the "political apocalypse" in Europe and America, and the overarching theme of mortality, he said, fit into what U2 wanted for the album. Bono has faced illness before. In 2000, he had a check for throat cancer, and, "it turned out OK," he said. 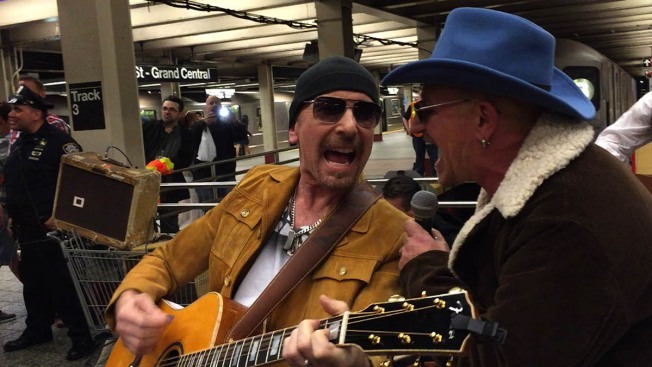 And in 2015, Bono broke his arm in a bike accident in Central Park and experienced amnesia after the incident. On writing about mortality, Bono said the band wanted to tackle the theme because "it is a subject not often covered. And you can't write Songs of Experience without writing about that. And I've had a couple of these shocks to the system, let's call them, in my life. ... So it was always going to be the subject. I just didn't want to be such an expert in it."